Ready, Freddy! Save the Earth! Cheeky first grader Freddy is back – and he’s going green! His class is learning all about Earth Day, and about the little things that kids can do to protect the planet. If Freddy can complete all ten points on the Earth Day Challenge list, he gets to join Team Green! But will he do it in time? 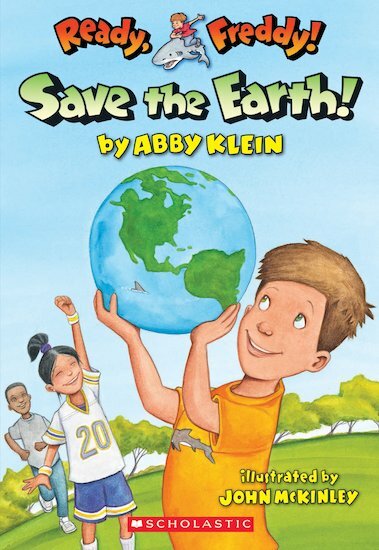 A fun story filled with eco-friendly tips and green activities to try at home.